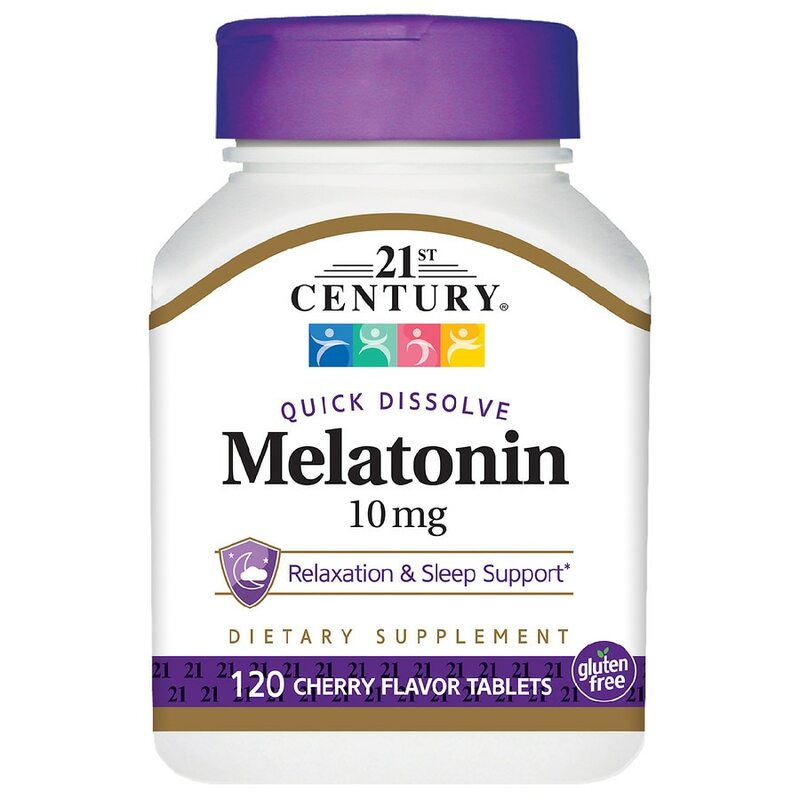 Melatonin works in harmony with your natural sleep cycle to support relaxation and sleep so you can wake up refreshed and revitalized. * 21st Century® offers the highest quality ingredients produced to strict standards for support of your good health. As a dietary supplement, take one (1) tablet thirty minutes before bedtime or as directed by your healthcare provider. Place under the tongue for 15 to 30 seconds before swallowing. Do not exceed recommended dosage. Individual results may vary. Do not take if you are operating machinery or a vehicle. Not intended for those under the age of 18. Before using this product, consult your healthcare provider if you: are pregnant or nursing, have a medical condition, are taking any medications, or are planning any medical procedures. If any adverse reactions occur, discontinue use and consult your healthcare provider. Keep out of reach of children.